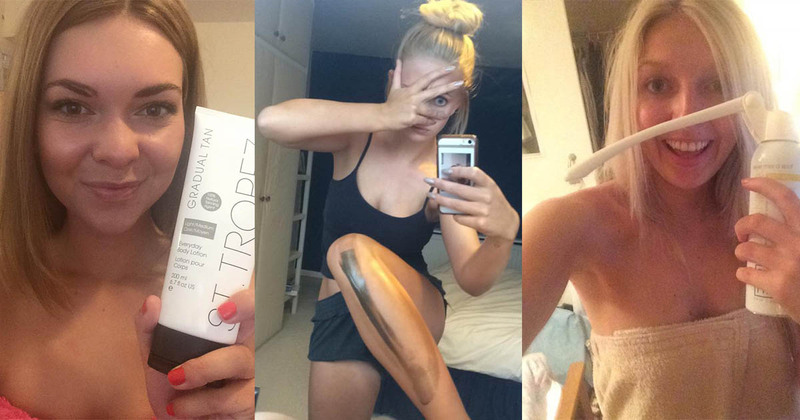 Which is the best fake tan? No night is complete without it, but with so many brands all claiming to be revolutionary in the tanning department, how do you know which one is the best? From mousse to developing, dark to medium, we put these brands to the test to see which ones really were worth the effort. What it promises: A “flawless tan for body and face” that washes off. Application: It’s pretty easy to apply, as long as you use a mitt. It goes on smoothly and evenly provided you work relatively quickly, as it has a tendency to dry and streak if left for too long. Drying time: The tan dries within five minutes, and is instant. It might come off on your sheets a little but as it’s wash off, it’s easy to jump in the shower and avoid looking like an embarrassing accident has happened in your bed. But don’t go out in the rain. Even though it says it’s water resistance, a rainy night out will leave you looking like a leper. Smell: It had a pretty, fresh fruity smell – not biscuity at all. Colour: I thought the shade was deep but natural, but I’m quite tanned already so would recommend a medium shade for fairer skin. The verdict: 10/10, the best tan I’ve ever used. Is it the perfect solution for impromptu nights out? What it promises: Like most brands, this boasts a “flawless sun-kissed looking tan instantly”. 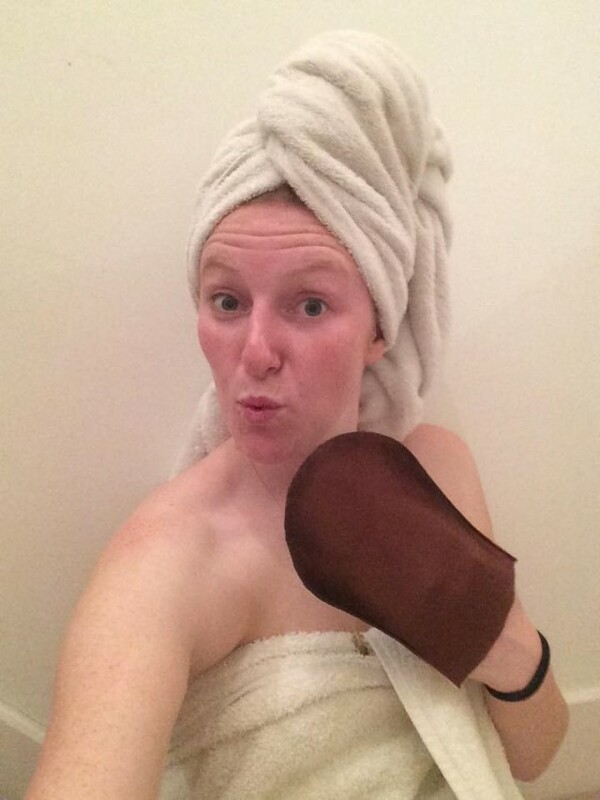 Application: The tan went on very smoothly, even using a mitt. It was easy to rub in and didn’t streak. I’d exfoliated the day before but not on the day of application, so I was worried it might apply unevenly but it didn’t. Drying time: I don’t normally use instant tan in case it rubs off onto my clothes, but this dried really quickly. It says leave for three minutes to dry, but it felt dry as soon as it was applied. It also didn’t rub off onto my white sheets at all, which is a huge plus. Smell: It smells like you’d expect fake tan to smell –– which is good if you don’t mind the smell of biscuits but not as nice as other brands I’ve used, such as Xen Tan who have a lovely vanilla smelling one. 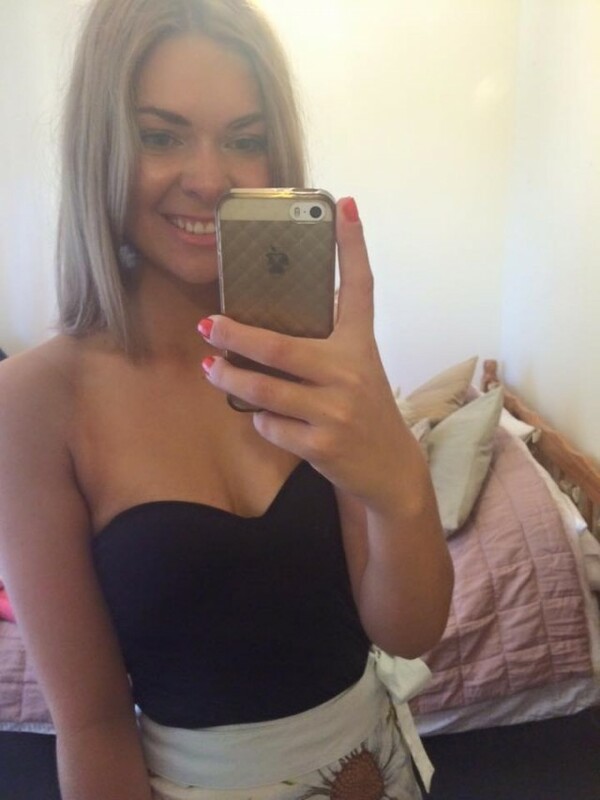 Colour: I’m quite dark naturally, so I wasn’t expecting to see much difference from a light to medium tan. But surprisingly the colour was noticeable, and looked really natural. Definitely a good choice if you don’t want to look OTT. The verdict: 9/10. I would use again but I don’t think the 100ml would last me many nights out. What it promises: Complete with a retractable nozzle, the light-weight veil mist promises an even finish. Created by science boffs at PHD, the tan is also meant to be great for your skin. 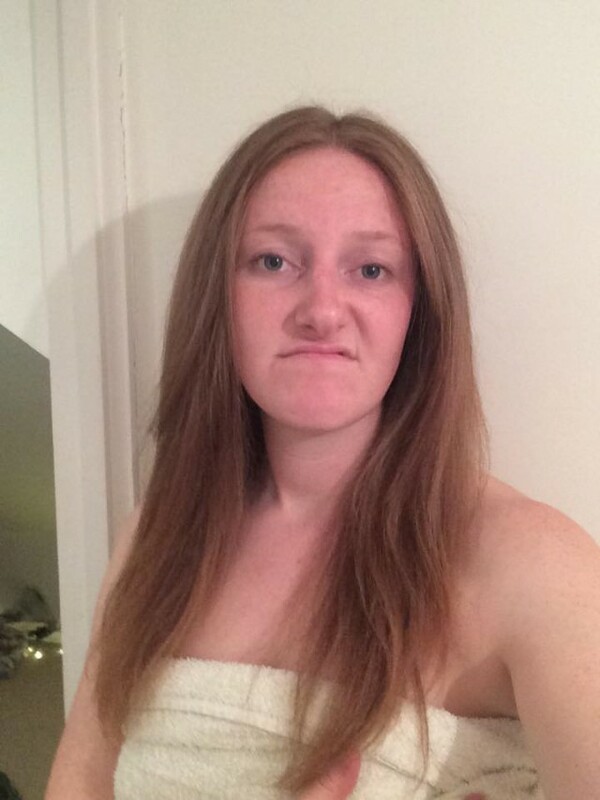 Celeb Millie Mackintosh is a huge fan, so I couldn’t wait to put this one to the test. 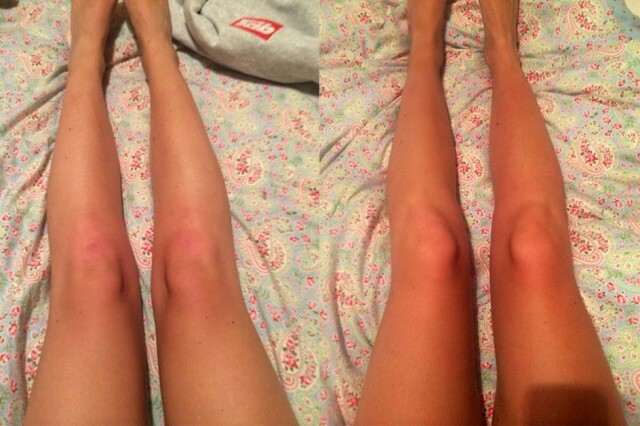 Application: Why can’t all fake tans be applied like this one? The wand made it so easy to reach awkward angles and no blending is required, meaning no orange palms. Drying time: The tan dried really quickly, and wasn’t sticky at all. I slept in it overnight and my sheets were still squeaky clean. Smell: The smell was incredible –– light with vanilla tones. It didn’t make me ooze that biscuit smell like most tans. 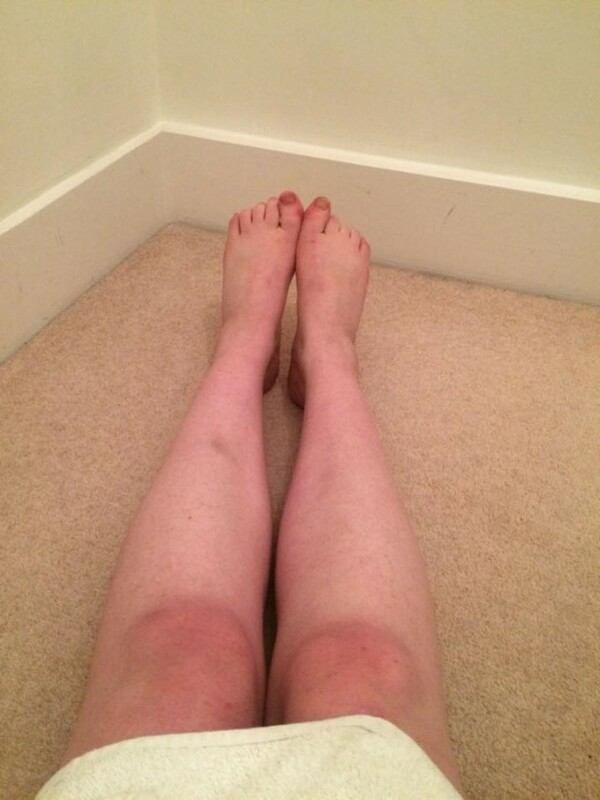 Colour: I’d just got back from a festival and already had a natural tan beforehand, so after applying one coat I didn’t notice a huge difference. The colour was really natural, and the applicator gave a really even coverage with no streaks in sight. For a deeper tan, I’d apply a few more layers. The verdict: 9/10. The patented wand made it the best tan application out of anything I’ve ever tried. The only problem for me was that one coat on top of my natural tan didn’t make me dark enough, so I’d go for a few more next time. What it promises: Instant tanning make-up for “flawless” pins. Shock. 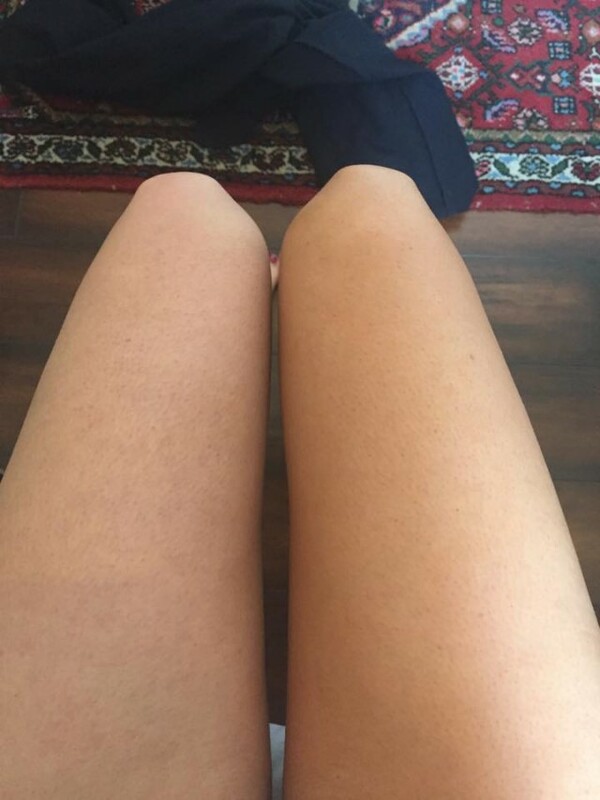 Application: Even though it’s a spray, it’s best to apply with a mitt, so I had to spray the tan first on to the mitt and then rub into my legs. It required a bit of buffing to avoid streaks. Smell: It doesn’t smell like normal tan, it smells delicious. Drying time: It dried instantly and didn’t streak when I was out, even with several drinks spilled down me. It washed off straight away the following day in the shower. Colour: It’s a really nice, naturally bronzed colour but it is very subtle. You might want to apply more than one layer if you want a more noticeable tan. Verdict: 7/10. It gave me a lot of confidence when I was out because it covers any skin imperfections and gives a natural glow. Would their body lotion be as good as the instant tan? What it promises: A “nourishing” natural, streak free colour. Application: The lotion was gorgeous and thick, and left my skin feeling really silky. I applied it using my bare hands instead of a mitt, and there were no streaks or awkward build-up on my palms or in between my fingers. Smell: It does pong of fake tan but it fades once the lotion has been absorbed…or maybe you just get used to it. Drying time: It took a while to soak in and dry, probably about five to 10 minutes before I dared to get dressed. Colour: It was only a light to medium shade, but I didn’t notice much difference after one application. However, when applying it after every shower over the course of a weekend, I did start to notice a very gradual build up. I imagine if I continued to use it every day for a week the colour would be a lot stronger. Verdict: 7/10. Even with gradual tans you can get a more noticeable build up after one application, but the colour is very natural once it develops and it doesn’t flake off unevenly like most brands. What it promises: It’s a “revolutionary hydrating mask” which delivers a tan ranging from a light glow to a deep colour, depending how long you leave it on before showering. James says it’s a “great pre-party glow booster”. Application: I squeezed a pump or two, depending on the size of the area, onto a mitt and rubbed onto my skin. I started at the “décolletage, working down the body” as the instructions suggested –– it’s an elaborate way of saying top to bottom. It went on really smoothly and made my skin feel soft, although the fact it is transparent makes it hard to know what kind of coverage you’ll get. Smell: It’s fragrance free and there wasn’t an overly strong smell, but still a hint of the classic biscuit scent. Drying time: The directions suggest 30 minutes for a light glow and 60 minutes for a deeper colour. I am white as a sheet so was slightly unsure as to stay safe with the 30 or go all out with 60. 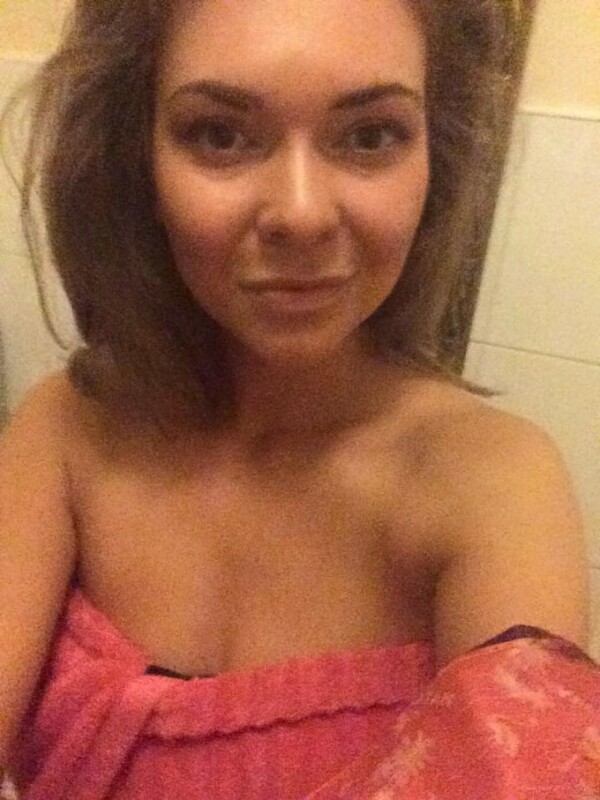 I settled for 50 and after sitting in my towel for nearly an hour, I showered off the fake tan. It’s called an express mask, but it’s not. The whole process took about an hour and a half application to shower, and because you have to wash it off after a certain amount of time, it disrupted my usual getting ready schedule as you can’t just put it on before bed. Colour: After the 50 minutes I was exactly the same colour. The bottle assures me after showering the tan will “continue to develop into a golden colour”. By the time I went to bed two hours later, still no change. I woke up, smelling slightly like a biscuit and STILL NOTHING. I felt robbed. Verdict: 2/10. There was the tiniest hint of a glow on my face, hands and ankles. It may be because I’m super pale, but having left it on for a bold 50 minutes I was expecting more. It somehow managed to ever so slightly leave a mark on my sheets, and nothing on my skin. Bizarre. At a steep £35 a bottle, I was expecting to be a glowing bronzed goddess and this was not the case. Its only saving graces were the sweet little turquoise and pink speckles in the formula and how soft it left my skin.